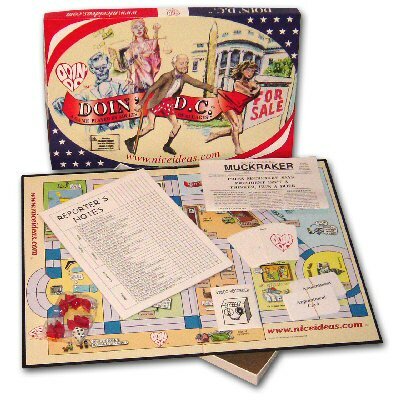 Doin’ DC, by sggc Nice Ideas, is a game about politicians and their improprieties and other foibles. You play a media personality in DC whose job is to uncover what is probably best left uncovered (the media also have their improprieties and foibles). Looks a bit like Washington, DC Clue.